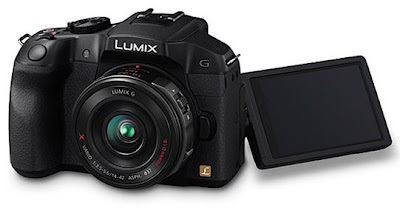 Panasonic has just announced the new addition to its G Compact cameras lineup, the Lumix DMC-G6. 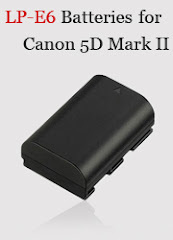 The camera offers a 16MP Live MOS sensor, a high speed AF system, full HD 1080/50p video recording capabilities, rapid burst shooting mode at 7 frames per second, and Wi-Fi with NFC connectivity. Today we are launching our newest DSLM (Digital Single Lens Mirrorless) camera, the LUMIX DMC-G6, offering a 16.05M Live MOS Sensor, the advanced process noise reduction systems and a ‘Low Light AF’ function enabling serious photographers to take the quality of their pictures even further regardless of low-light situations. Boasting a high speed AF system, ‘Accurate AF’ and ‘Low Light AF’ for shooting in low-light conditions, you’ll never miss the perfect moment with the LUMIX DMC-G6. A wide range of AF modes are available, including multiple-area AF, Face Detection, and AF Tracking resulting in the LUMIX DMC-G6 being able to lock onto any subject and keep it in focus even if it moves. Additionally, the LUMIX DMC-G6’s rapid burst shooting capability - at seven Frames per Second (FPS) in full resolution, can capture multiple shots of fast-moving subjects with stunning clarity. The LUMIX DMC-G6 benefits from an OLED viewfinder which is not only brighter than a traditional LCD viewfinder but is also faster to display images, offers better visibility outdoors in bright sunlight and increases battery life due to lower power consumption. With a choice of using either the Electronic Viewfinder (EVF) with eye sensor, or the high resolution, 3.0-inch free-angle monitor to compose your shots and movies, you can capture the moment as the situation demands. Meanwhile, the revolutionary touch control shooting - including full-area touch focusing where the focus can be set immediately to the subject, or to the background, by just one touch of the large monitor even when using the EVF – gives you the control to compose and create stunning images.